BITCO Insurance Companies provide specialized property and casualty insurance protection and financial security to select industries at the core of the American economy. BITCO specializes in Workers’ Compensation, General Liability, Commercial Auto, Commercial Property, Umbrella Coverage, Inland Marine, and Business Income insurance for industries and professions that proudly power U.S. economic growth. We design insurance policies to address the distinct risk exposures of your workforce, worksite and workplace. Coverage for builders and designers with a commercial emphasis. Policies for trade contractors with a commercial emphasis including plaster, drywall, plumbing and heating work, and more. Coverage for road, bridge and culvert construction. Insurance for water well drilling and water line & sewer line construction. Insurance for quarries, sand, gravel and ready-mix suppliers. Coverage for excavation, landscaping and irrigation installation. Protection for logging, lumbering, sawmills, planning and molding mills as well as pallet, furniture & cabinet manufacturing and retail & wholesale building-materials dealers. 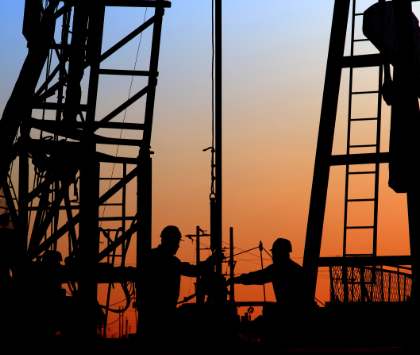 Coverage for pipeline, drilling and leasing operations. Coverage for wholesalers and distributors of durable and non-durable goods. Insurance for manufacturers of component parts and finished products that have a light to medium products exposure. Workers’ Compensation policies for public entities in the Southeast, Midwest and Southwest. We believe your business deserves face-to-face, trustworthy service from an agent and company that specializes in the type of work you do and who has a deep understanding of your operations and the challenges you face. Our network of independent agency specialists provides you with personalized, local service. BITCO agents are well versed in the industries we serve and are familiar with the daily risks you deal with. Their expertise is backed by a highly trained team of insurance experts in our Home Office and branch offices. From risk control and claims management to premium audits and underwriting, you are provided access to the type of dedicated service and insurance coverages you need to protect your business. BITCO Risk Control Consultants serve as a resource to help you obtain the tools and training you need to run a safer operation and reduce the chance of claims and losses. BITCO provides you with a number of ways to manage the timing and payment of your insurance premiums while also providing you access to highly trained premium auditors and reviewers. Our Claims Service Team provides you with professional, timely and efficient responses when losses occur and helps you navigate the claims process and effectively manage the costs associated with claims. Since 1917, we’ve been focused on helping hard-working industries at the heart of U.S. infrastructure run safe operations and protect their employees and their businesses. Since the beginning, we’ve focused on understanding what makes the industries we serve tick and what it’s like to work in the streets, worksites and operations that are integral to their success. The foundation of BITCO’s business is built around creating broad coverages and specialized services to address the distinct risks and day-to-day concerns of these niche industries. We pair our expertise and more than 100 years of insurance experience with a level of personal service not commonly found in the insurance industry. This puts us in the unique position of working collaboratively with our clients to help them identify ways to protect their employees and provide financial security for their livelihoods. We make a long-term commitment to our clients’ success. Quick briefs on topics specific to the industries BITCO serves and insures. From worker safety to industry research and regulations, we can help you manage your business’s risks. Looking for a long-term partner that works hard for you and your business? Contact a local BITCO agent today.